These photos have been extracted from the files of John Dean, past President and Life Member. They show Spartans who were present at the 2005 Annual General Meeting to receive their Spartan singlets. 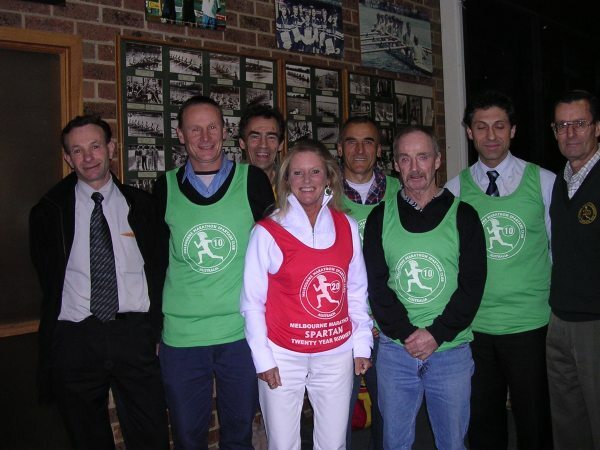 Eric Heine (15 Years), Chris Rabl (10 Years), Terry Costello (10 Years), Lorraine Devonport (20 Years), Chris Korfiatis (10 Years), Alan Gilbert (10 Years), John Kaparelis (10 Years) and Spartan President John Dean who made the presentations. 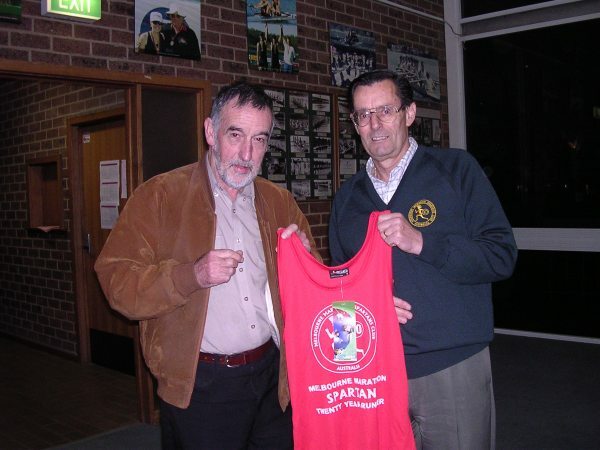 Brian Walsh (left) being presented with his 20-Year Spartan singlet at the 2005 AGM by President John Dean.